It’s that time of the week once again when Apple throws in a paid iOS app for free for iPhone and iPad users to feast on as part of its Free App of the Week promo. Today’s title usually retails for $0.99 on the App Store, but can yours for absolutely free till Thursday. 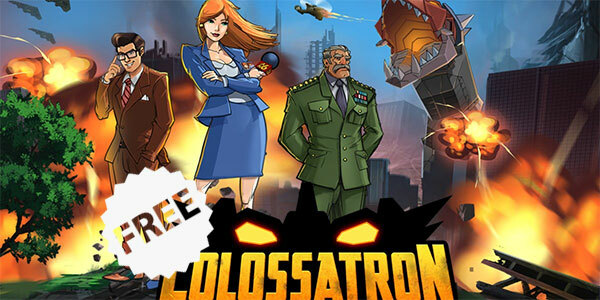 Called Colossatron: Massive World Threat, it is a title that has been around since 2014, and dropping its price tag comes in as a major surprise considering this is the first time in three years that we see the app going free on iOS. The key to victory lies in building Colossatron by attaching colored Powercores as they appear. Different colors and unlockable gadgets can be combined to form bigger, badder weapons and stronger Powercores, with thousands of potential combinations. 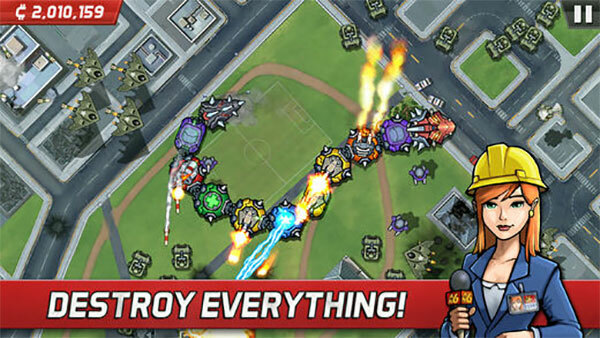 Use everything at your disposal to become the ultimate Colossatron strategist! To give the game an exciting touch, the entire destruction is shown as if being broadcast live via a news channel. You get “epic boss fights”, a huge arsenal of different weaponry, and some truly “intense survival challenges”. Colossatron: Massive World Threat can be downloaded for free till Thursday as mentioned earlier, and if you have ever had the slightest interest in chaos ensuing retro titles, then this free title is at least worth checking out!